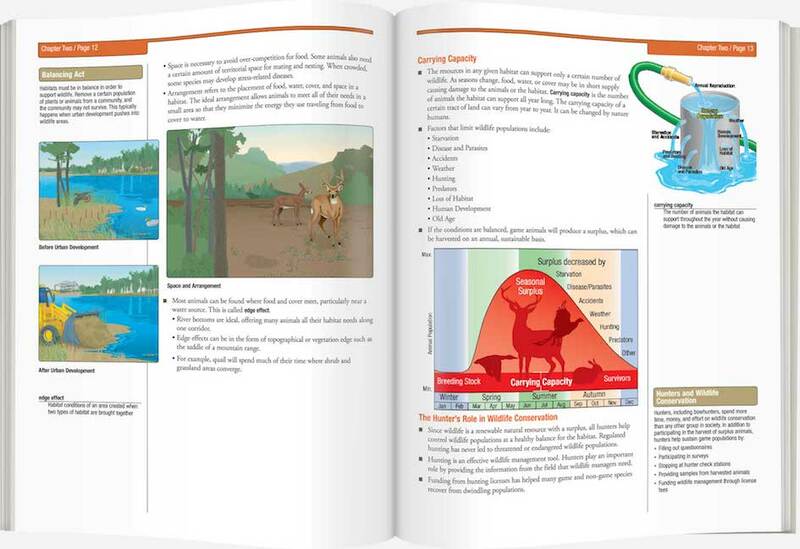 Take this Hawaii–approved course to complete your online bowhunter safety education. Attend the Initial Basic Hunter Education Course. Study and pass the $30.00 course. Please Note: In order to complete the Hawaii Bowhunter Ed Course, you should have already completed the Basic Hunter Education Course in Hawaii. If you have not completed basic hunter education, classes will begin Oct. 2016 on Oahu. 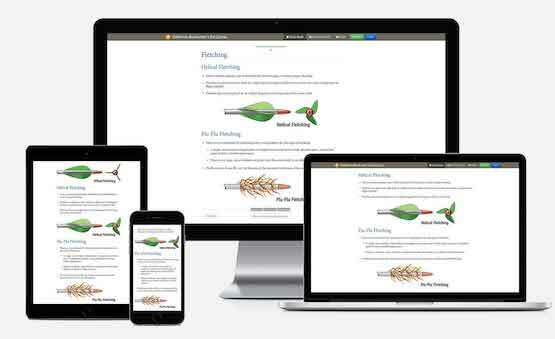 After passing and paying for this course, you'll immediately print your Temporary Bowhunter Education Certificate. 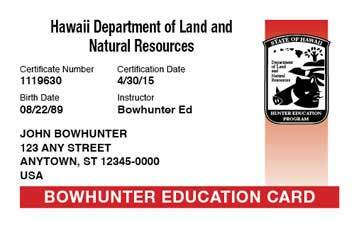 You'll be mailed your permanent Hawaii Bowhunter Education Certificate within 3-4 weeks. Students interested in further education can register for additional workshops with the Hawaii Department of Land and Natural Resources at http://dlnr.hawaii.gov/. This official training program is developed to meet the standards for Bowhunter safety education established by Hawaii. Bowhunter Ed is the only safety course provider that develops print materials on behalf of government agencies responsible for Bowhunter laws and regulations. As a course provider approved by Hawaii Department of Land and Natural Resources, the Hawaii Bowhunter Ed Course covers everything you may need to know in order to be safe. Bowhunter education is currently required in many states. An approved Bowhunter safety course is required to comply with the laws and regulations in those jurisdictions. Depending on your age, you may be required to have the Hawaii Bowhunter Education Certificate in order to legally buy a license or permit to hunt. For more information, see the Hawaii Bowhunter Laws and Regulations page.